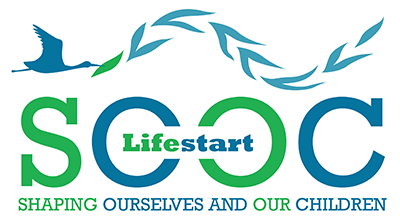 Shaping Ourselves and Our Children (SOOC) is an innovative cross-border parenting programme being delivered by the Lifestart Foundation, Lifestart Services Ltd, Sligo Family Support Centre, the Dunluce Family Centre and Barnardos. This €1.3 million project is supported by the European Union’s PEACE IV Programme, managed by the Special EU Programmes Body (SEUPB). Match-funding has been provided by the Executive Office in Northern Ireland and the Department of Rural and Community Development in Ireland. The programme aims to support parents of young children in Northern Ireland and the border region of the Republic of Ireland to create a home conducive to good child social and emotional development, inclusiveness and a respect for social and cultural diversity. If you are interested in participating in the SOOC programme, please contact us.